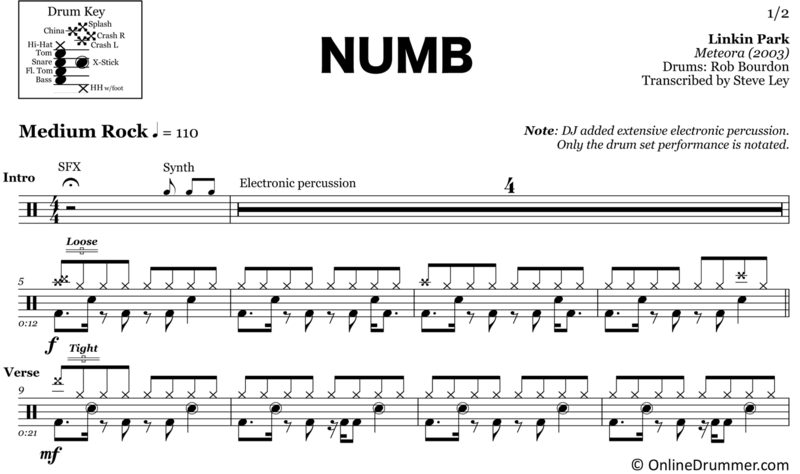 The full drum sheet music for “Numb” by Linkin Park from the album Meteora (2003). 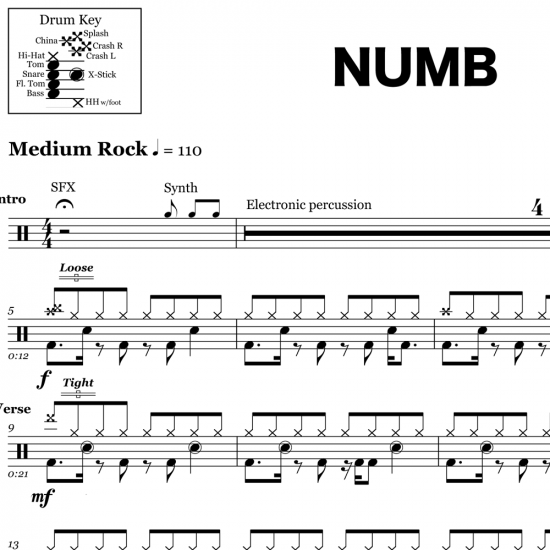 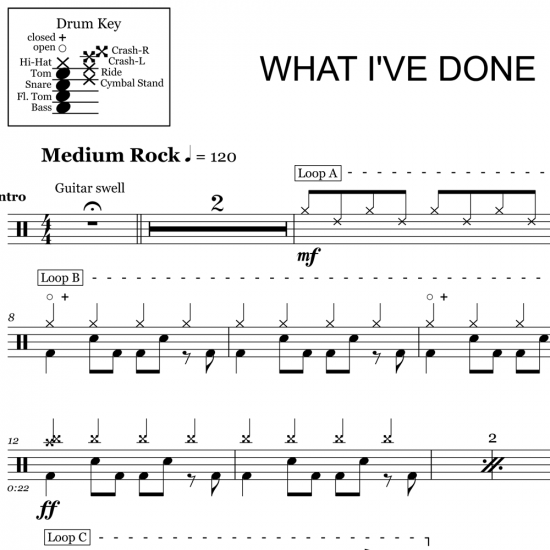 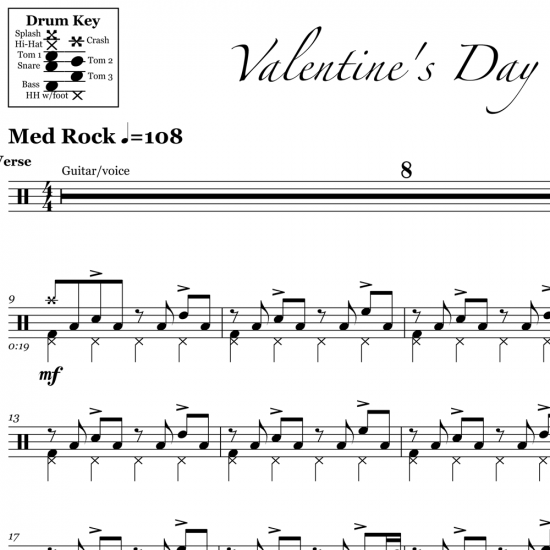 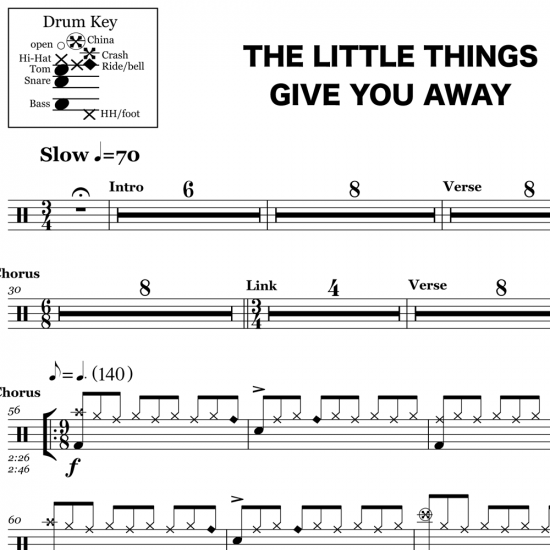 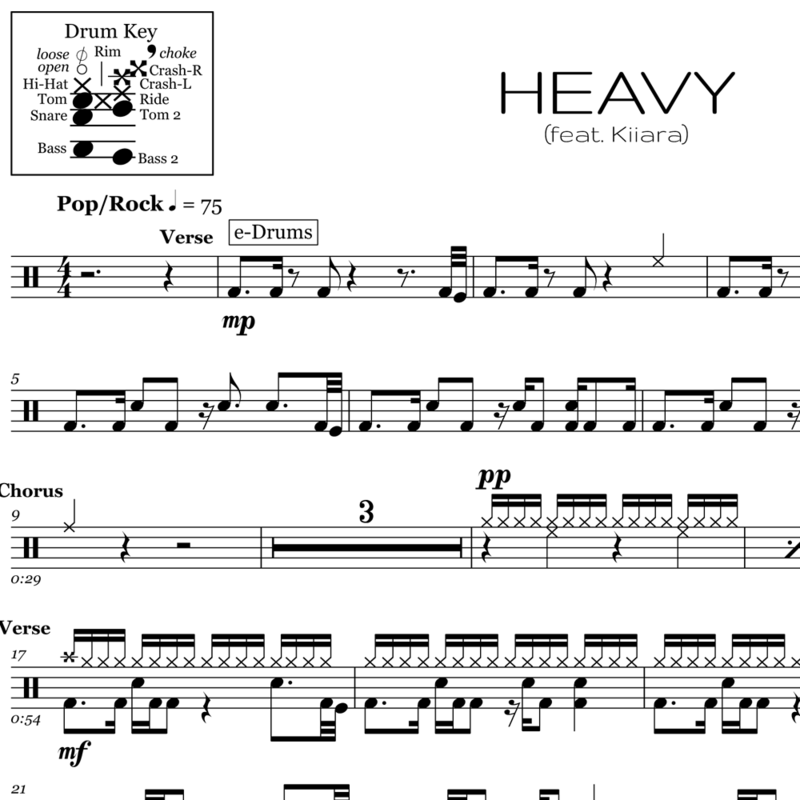 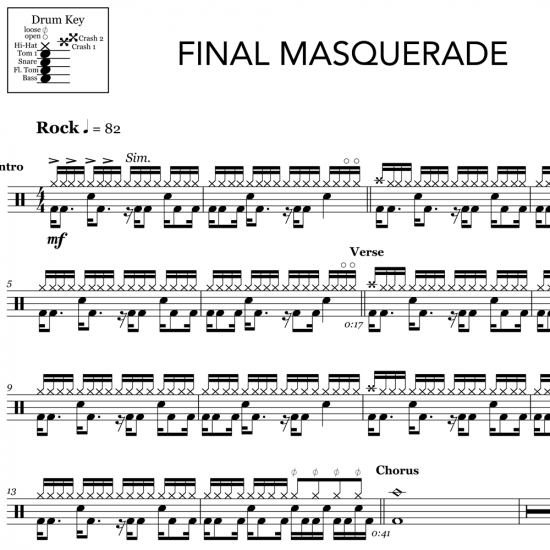 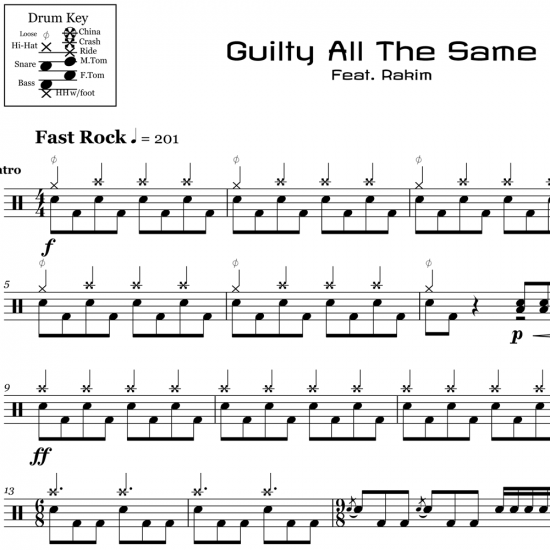 Rob Bourdon plays this solid rock drum part over a programmed percussion track. 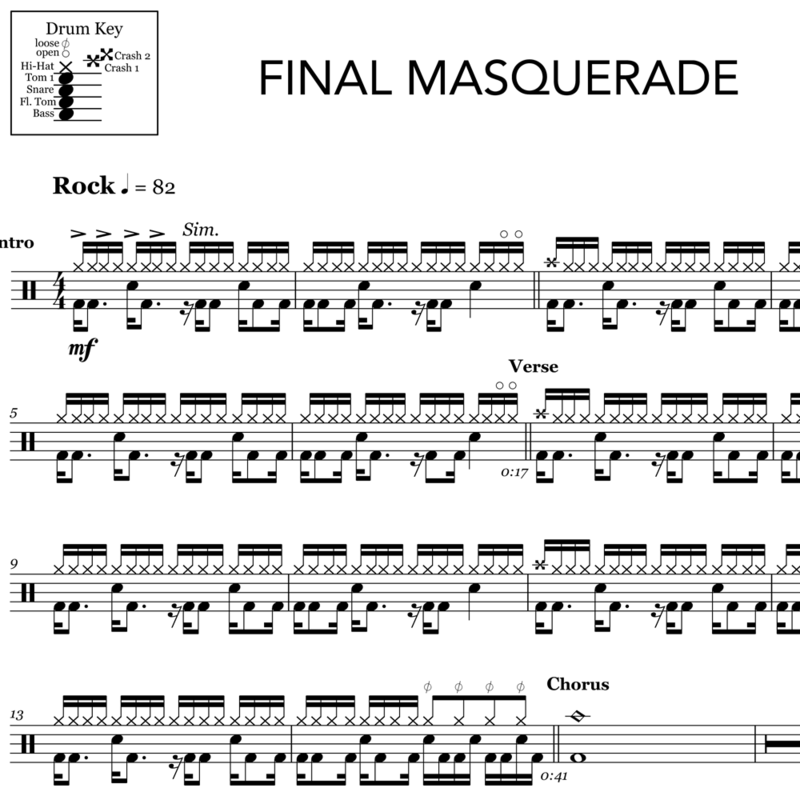 This sheet music notates Bourdon’s acoustic drum set performance. 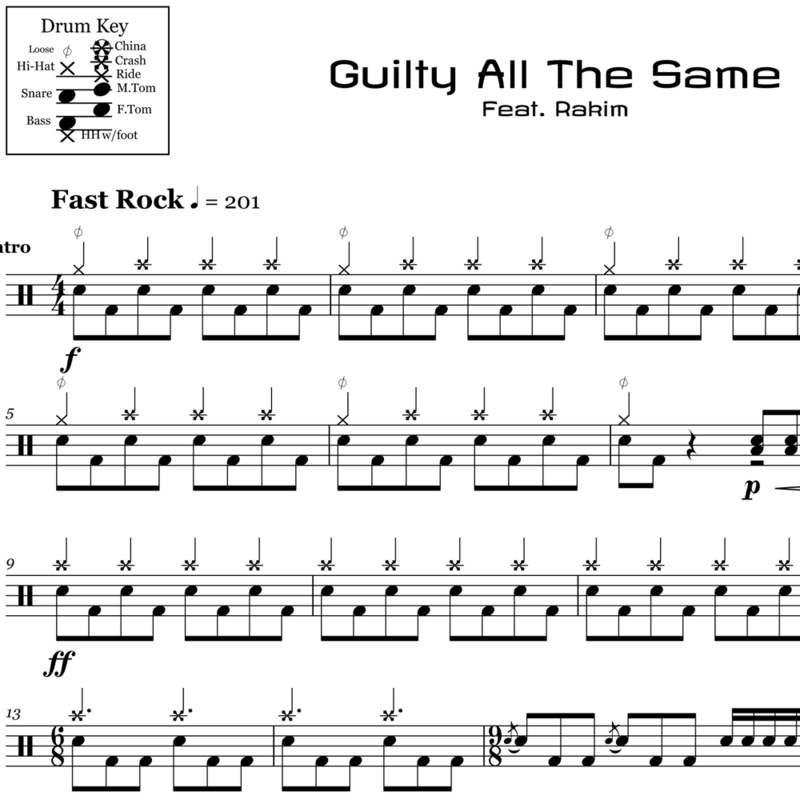 Contributing to the unique feel of this song, the snare backbeat is displaced from the ordinary beat “2” and is pulled forward to the “ah” of beat 1. 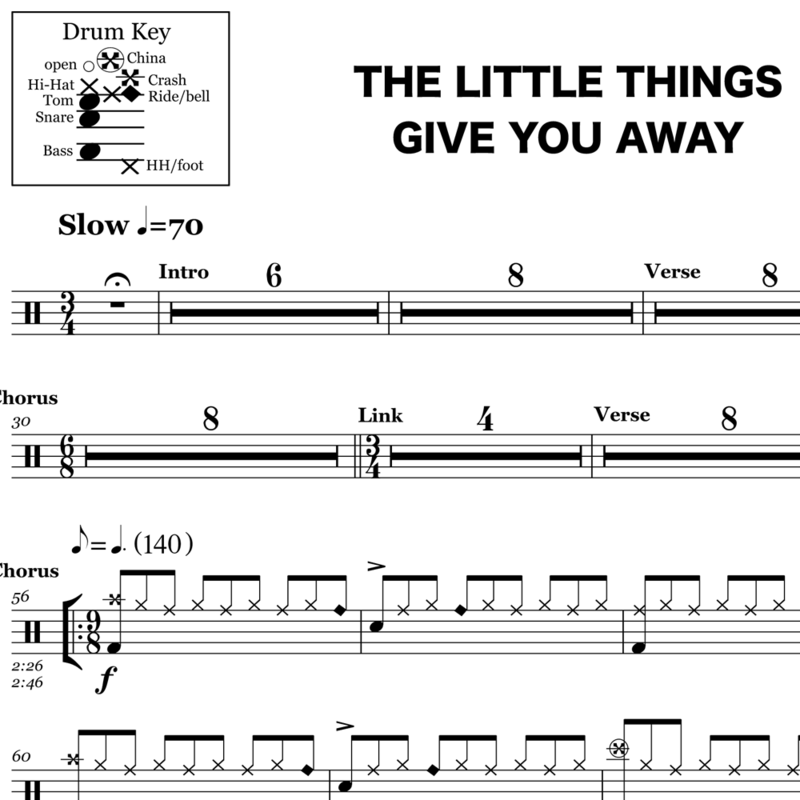 It’s amazing how moving the snare stroke only a sixteenth makes such a big impact on the feel. 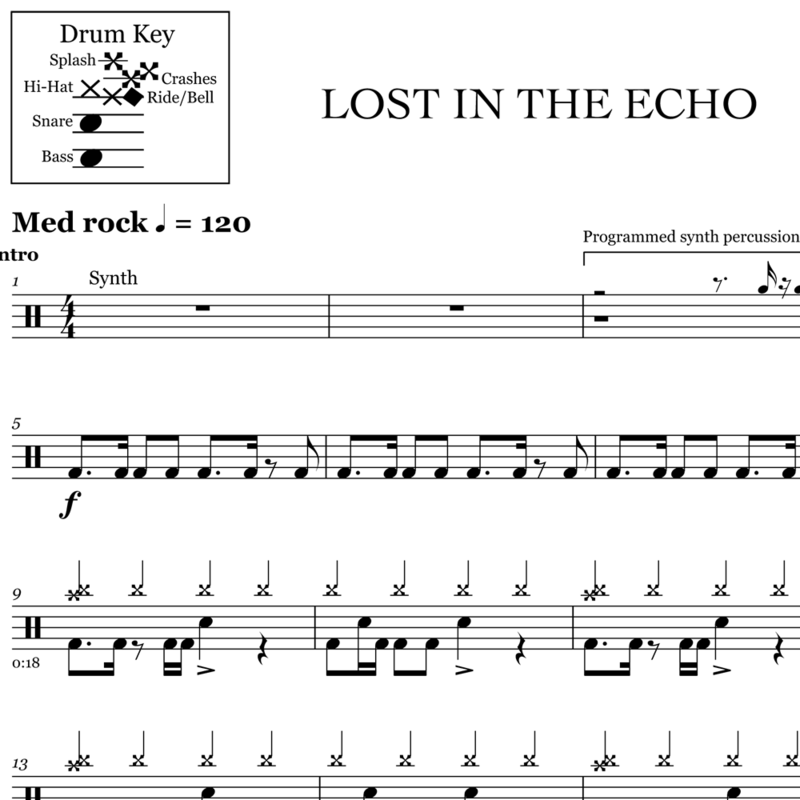 The full drum sheet music for "Lost in the Echo" by Linkin Park from the album Living Things (2012).